I’m Mone and my ‚makings’ is what this website is all about, hence the name: Mone, that’s me, and what I’ve made. 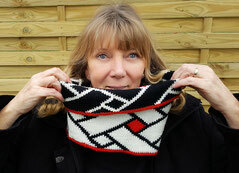 Here, in my small corner of the internet world, I'd like to tell you about my 'crafting adventures' and share all news on my knitting patterns. See my profile or get in touch, here.